What is the best type of pizza? Organic pizza! 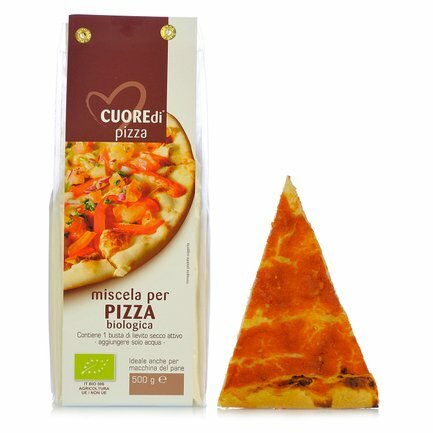 For this reason, Cuore di offers you this convenient mix for preparing a delicious pizza to offer your friends in a short period of time whenever you want. Good food at your fingertips, thanks to Eataly! 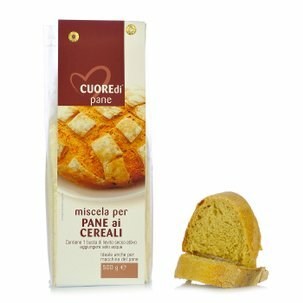 Ingredients “0” type soft wheat flour, salt, sugar, malted wheat flour, emulsifier: sunflower lecithin, flour treatment agent: ascorbic acid. ALLERGENS: CEREALS CONTAINING GLUTEN (wheat,rye,barley,oats,spelt, kamut and hybrid strains) and derived products; SOYA and s For more information on product labels, please contact our Customer Service department. The information on the labels of the products may vary for reasons beyond our control, therefore, there may be discrepancies between the information on the site and that on the products delivered. Please always check the information on the product before consumption or use.